LankanHost Review 2019: Is LankanHost a Good Hosting? 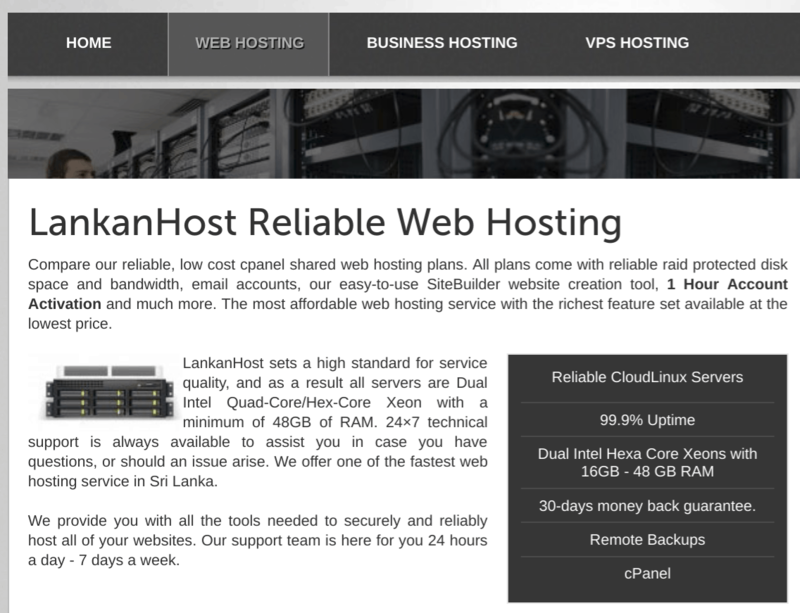 Leading Sri Lankan host LankanHost offers SSD plans with 24/7 customer support. Although its uptime is unclear, its plans are feature-packed and affordable. 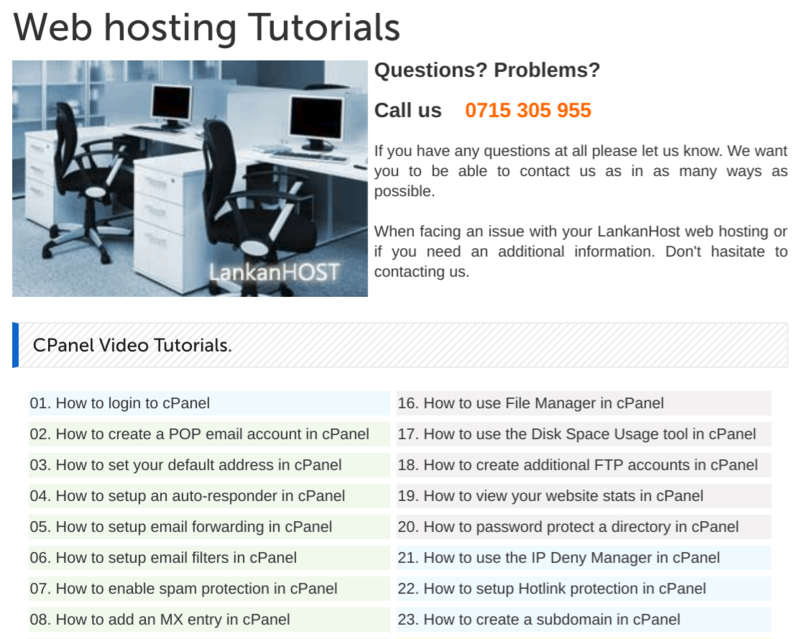 LankanHost has been offering affordable Sri Lankan hosting since 2006. With more than 3000 domains hosted (according to third-party websites), it is one of the leading hosts in Sri Lanka. The LankanHost website is available in English. LankanHost co-locates its servers in a U.S.-based Liquid Web data center. Whilst I always prefer a hosting provider that owns its own data center, this top-notch data center has triple redundant direct fiber connectivity to three Tier 1 backbone providers. The infrastructure is well thought out with enterprise-level features that allow LankanHost to proclaim itself to be “one of the fastest web hosting services in Sri Lanka.” Servers use SATA hard disks and SSD RAID 10 drives with 1 Gbps network connections. The CloudLinux operating system with the CageFS file system helps to isolate shared hosting customers from one another. It seems a little strange that this company’s 99.9% uptime guarantee is actually higher than its expected uptime of 99.5%, but I couldn’t confirm this with customer services. Expert hosting features include PHP (versions 4.4, 5, and 7), phpMyAdmin, MySQL, FTP accounts, and Cron jobs. Beginners’ benefits include an HTML5 website builder with hundreds of templates and a Softaculous installer for more than 250 programs. The prices for shared hosting plans are reasonable. I’d suggest you dismiss the Starter plan since its 100 MB disk space is insufficient for even the smallest website owners. But the other plans have big enough allowances. You can sign up on one or two-year terms, with a slight price reduction for the two-year term. And you can confidently make the longer commitment because there is a generous 30-day money-back guarantee on all plans. If you like to research your own solutions to technical issues, you’re in luck because there’s both a knowledge base and a comprehensive set of video tutorials for Softaculous, cPanel, RVsitebuilder… and more. If you don’t want to support yourself, you can take advantage of the 24/7 support provided by email, telephone, and ticketing system. I’d like to see the addition of live chat support, but that’s not my only complaint. Having sent this company several emails as a presales prospect, and received no replies after several days, I can’t be confident about the kind of support you’ll get as a committed customer. As a leading Sri Lankan website hosting provider, this company has some well thought out and affordable plans, with SSD disks, 24/7 customer service, and many beginner- and expert-level features. It’s hard to fault it, other than the fact the servers are co-located, and I couldn’t get any answers from customer support. Wondering how LankanHost stacks up against other Web Hosting companies? Enter any other Web Hosting company and we will give you a side-by-side comparison.